Downloaded this recently and I listen to it as I clean my house, just listen for pleasure, do my Bible studies and listened as I fell asleep last night. 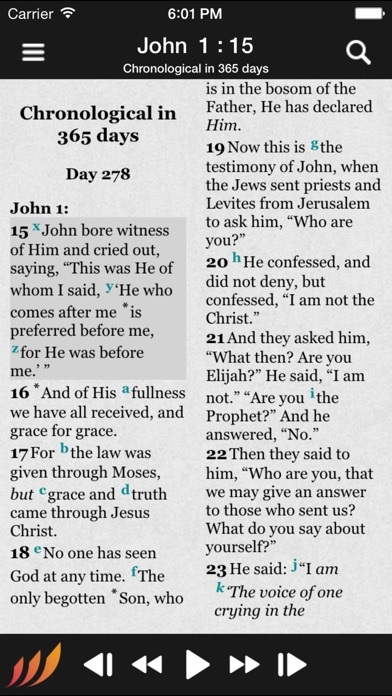 I enjoy the different actor’s voices as they read the Bible and the music/sound effects enhance the text rather than distract imo; however it is a good idea to listen to the free download of John before buying because some reviewers found the music/sound effects did bother them. 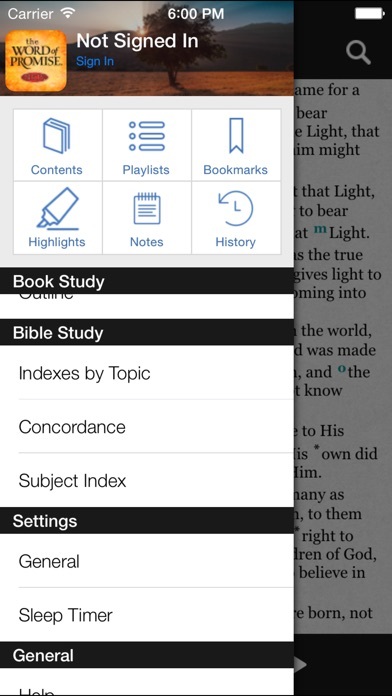 Besides the superb audio readings the app has many study tools similar to those on my Olive Tree Bible Study app. I purchased this app (both OT and NT) just for the audio, but the other features make it a great value for the money. Many thanks to the people who developed this audio app of God’s Word......it is truly a blessing to me. So now they have heavily monetized this app with Ads. A paid for app should never have ads. Thanks for the horrible update. 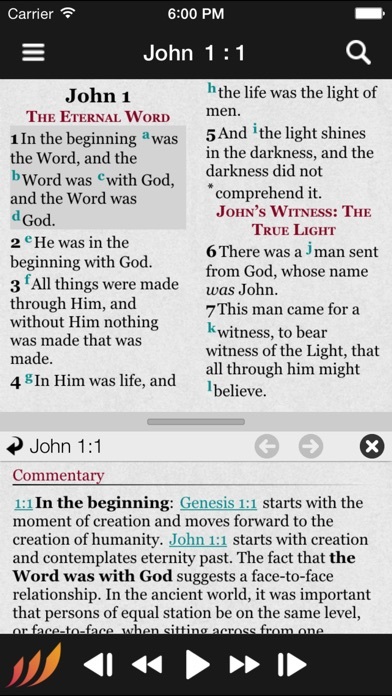 I love this Bible app! 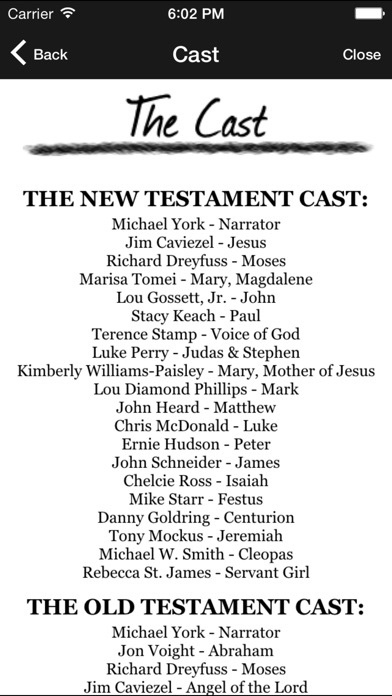 The actors reading scripture, the music and the sound effects are excellent! 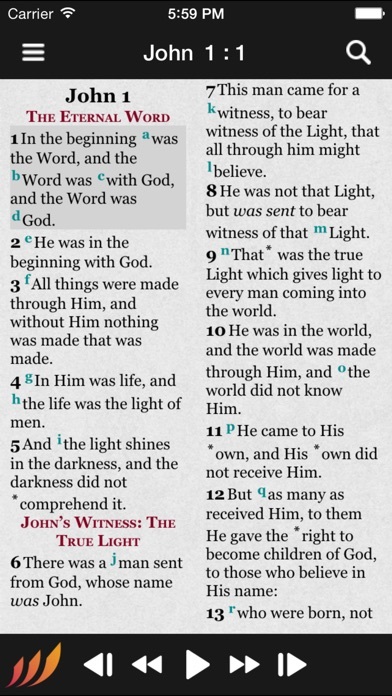 I like to read along with my Bible (you can also read along with the moving phone screen text! When I put my headphones on, it is like I am transported to the world of the Bible! Highly recommended! This is by far the best audio bible out there, I listen to it every day. Best audio Bible out there! Make sure to change settings to High Quality Audio before you start listening. Easy to find what you want to play. Apple TV app is very nice too. Highly recommended! I’d been searching for a NKJV audio Bible without a distracting voice, and this one was the BEST by far!!! The only thing that would be even more awesome would be if an audio version without the sound effects could be made available. I’d pay for it. The effects often jolt me out of listening to the words. I know others love them though. Recently it stopped working- it crashes or the screen goes black. I’m upgraded to iOS 11 so I’m not sure what caused it. After paying $20 for the New Testament, I’m pretty bummed, hence the 4 stars. Otherwise it’d be 5 all the way! Changes that ripped me off! I paid $39.99 for the audio bible and now I cannot use it at all! I paid $39.99 for the audio bible. Under iOS 10 I updated the app and instead of updating, it installed a new app on my phone exactly like the original except for a different icon. I was able to use it but I was hesitant to reload all the audio content onto my phone due to storage limitations. Now with iOS 11, it’s even worse. The old app is locked out and I can’t sign in to the new app. I sent a request to support and they have not responded. $40 is too much to spend to get no response. I’m shocked that such a fine product is being peddled this way. Why did the developer create a new app? Are they hoping we will be fooled into paying again for the same product? It’s outrageous. They say it’s a study bible. They don’t tell you it’s a sample only. I am going find another app because they lie.